We want to inspire you to develop a healthier you and learn how to take what you have learned and experienced to improve the health and lifestyles of your family, athletes, and community. The School of Health Sciences is one of the largest schools at Lindenwood University. Our 600 students at the undergraduate and graduate levels are active contributors to university life and the surrounding community by promoting healthy lifestyles and enhancing human performance. Our students are preparing to make outstanding accomplishments in their chosen disciplines. We are proud of our personalized approach through small classes and close relationships between faculty and students. Our faculty members blend theoretical concepts within their field of study with real world applications to give students a diverse educational experience. We take pride in the fact that our classroom instruction is supplemented by considerable hands-on practice of the skills and knowledge necessary to become a highly-competent practitioner. Each of our academic programs provides the opportunity to immerse the student in situations that he or she will encounter in the real world. The School of Health Sciences promotes healthy, active living through undergraduate programs in Athletic Training, Exercise Science, Paramedicine, Public Health, and Physical Education, Health, and Recreation. Students can also pursue a Master of Science in Human Performance or one of 11 minors where any student can supplement his/her education in adapted sport and recreation, coaching, health and wellness, health and fitness management, nutrition, outdoor leadership, recreation administration, sport and fitness management, and strength and conditioning. 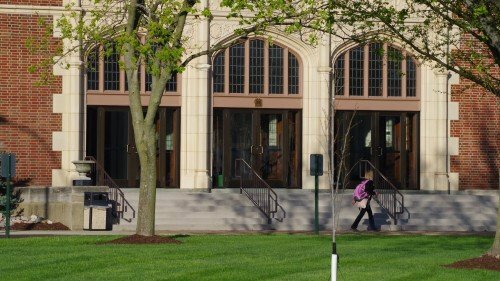 This school is the only one in which you can study physical activity, wellness, and play for a healthy, productive, and sustainable lifestyle. We want to inspire you to develop a healthier you and learn how to take what you have learned and experienced to improve the health and lifestyles of your family, athletes, and community. Lindenwood University utilizes a highly integrated educational model with rigorous coursework combined with clinical observations and experiences to best prepare the Health Sciences student for professional success. The School of Health Sciences provides students with cutting-edge academic and experiential learning opportunities to prepare graduates as life-long learners in their chosen allied health profession. Associate Professor of Exercise Science Dr. Chad Kerksick delivered two presentations to the Brazilian Congress of Sport in Brasilia, Brazil, Thanksgiving weekend. 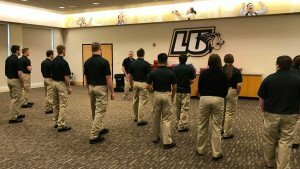 Kerksick, who is also the director of the Exercise and Performance Nutrition Laboratory at Lindenwood, joined 25 other speakers from around the world.